Free Shipping Included! 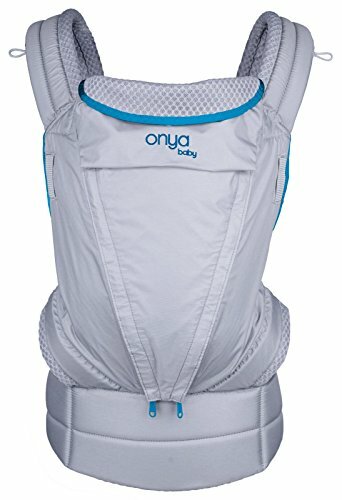 Onya Baby Pure Baby Carrier - Atoll Blue/Granite by Onya Baby at Baby Bouncers & Swings. MPN: PU-3360. Hurry! Limited time offer. Offer valid only while supplies last. The onya baby pure is the newest addition to our award winning line of ergonomic baby carriers. The pure is lightweight, breathable and easy to use. Low-profile, high density foam, adjustable shoulder straps that can X cross across back for super comfy front carry- adjust from 17"-36"
If you have any questions about this product by Onya Baby, contact us by completing and submitting the form below. If you are looking for a specif part number, please include it with your message.